Jacqueline is the President of techUK and sits as a Non-Executive Director on the board of UK technology business Rightmove plc. Her presidency focuses on the ambition for the UK to seize its position as a digital nation of significance by leveraging its digital opportunity and skills. She believes that to achieve this all geographies and demographics across the UK must be included and we must strive to equip our country with the very best infrastructure and supportive business legislation possible. Above all, none of the above can be achieved unless the UK tech industry demonstrates that it is open for business to global markets. 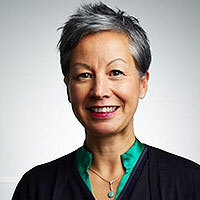 Prior to her presidency, Jacqueline held the role of deputy president techUK and board champion for women. She has used this role to leverage resources in the technology industry to support her manifesto to increase diversity of skills and talent in the tech industry. This has gathered increasing momentum through techUK’s Women in Tech Council, which continues to bring industry together to drive for inclusion, diversity & gender equality. Jacqueline has been employed throughout her career by global blue-chip software companies to accelerate growth by pulling amazing teams together who can operate under pressure and extending their reach through smart partnerships. I love tech because I am passionate about diversity and inclusion and, for me, technology is the great equaliser. It doesn’t matter who you are, where you are from or what resources you have access to; Tech rebalances all of that and presents an immense opportunity to reduce barriers to entry in both the world of work and at home. in Imaginations can run wild and boundaries no longer exist. One that worries me is the advances being made in synthetic food. I know we have to feed the world but I am a big believer in reducing waste and eating real vegetables….Nothing wrong with growing your own!